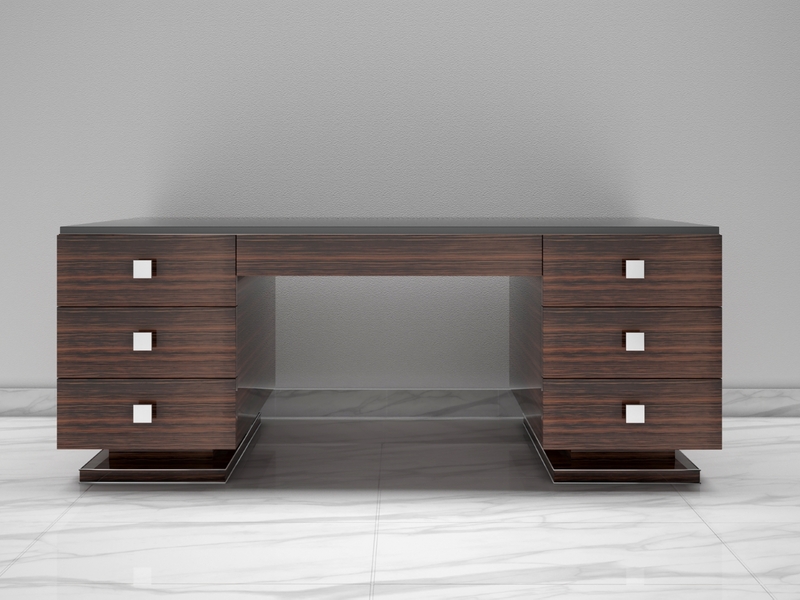 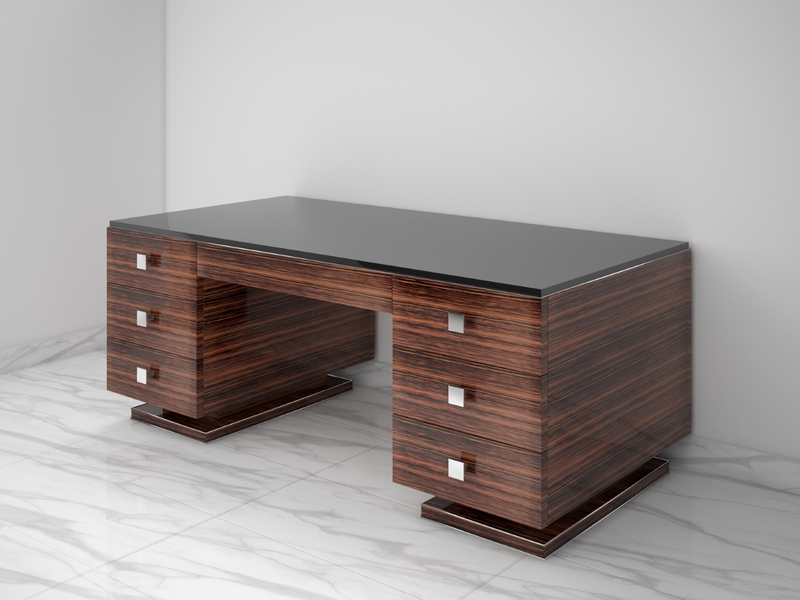 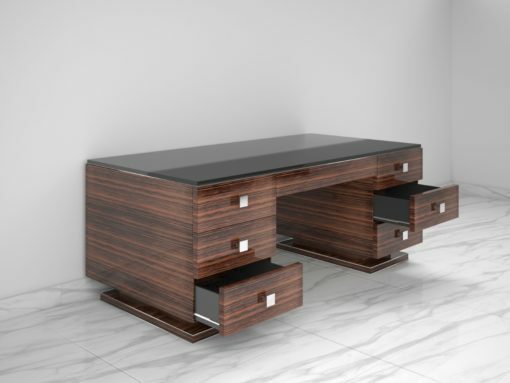 Modern design desk made of luxurious macassar wood. 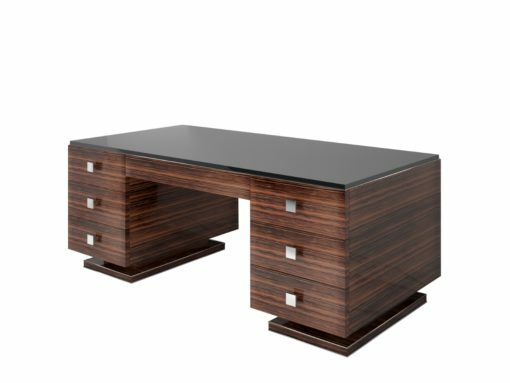 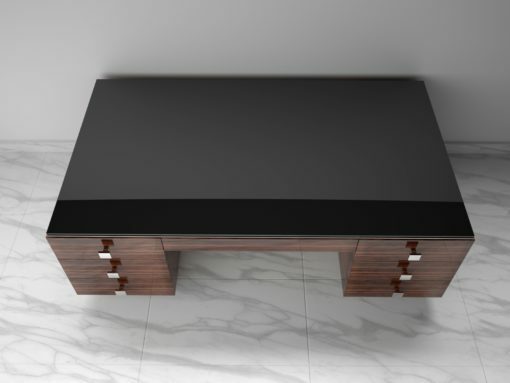 Features a high gloss black glass top and six drawers for storage considerations.Elegant desk with a wonderful Art Deco design. 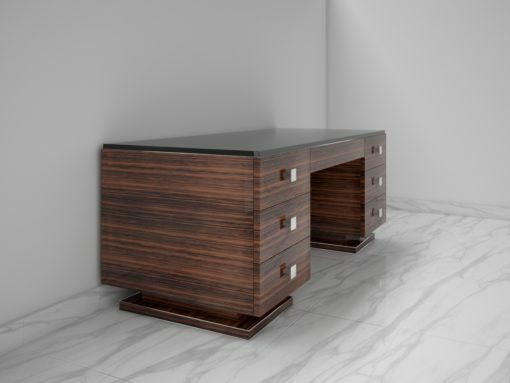 This beautiful piece of furniture offers a luxurious macassar veneer, chromed handles and a lacobel glass tabletop. Also available with a leather writing pad. – perfect for the everyday use only high quality materials – made in Germany.